​beautiful place we call our home...Magnetic Island. Melia Hinks....our daughter, local ambassador for Magnetic Island. Our passionate connection with Magnetic Island began as teenagers growing up here on this beautiful Island 35 years ago....we love where we live and we have many stories and special places to share with you. We welcome you on-board with us on our custom designed cat "Aquascene". Our mobility friendly boat has many unique features that are designed to suit exactly what we do on tour. We easily access many stunning secluded beaches and hard to get to bays. 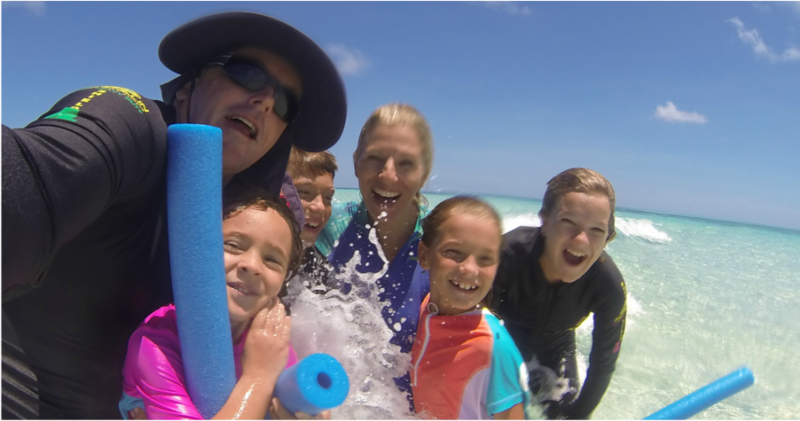 We nestle in some beautiful coral lagoons and access some amazing fringing reef....just off the boat! Learn some interesting things as we share some stories and history along the way. Interact with some beautiful bird life and marine life. Discover the incredible beauty of Magnetic Island from above and below the water. Our tours are full of fun, relaxation and comfort. We personalise our tours to suit each of our guests on the day. Expert snorkel tuition and guidance is given. We are proud of our safe learning environment on Aquascene, you benefit from your skipper and crew being qualified Surf Life Guards. Aquascene attract guests from all "walks of life", families, couples, solo travellers, all ages and abilities....come and experience something special! The Hinks Family...enjoying what we love best!